Definition at line 23 of file InstanceId.h. Definition at line 26 of file InstanceId.h. Definition at line 28 of file InstanceId.h. Referenced by InstanceId< AsyncJob >::InstanceId(), and InstanceId< AsyncJob >::operator!=(). Definition at line 30 of file InstanceId.h. Definition at line 32 of file InstanceId.h. Definition at line 31 of file InstanceId.h. Referenced by InstanceId< AsyncJob >::operator!=(). Definition at line 42 of file InstanceId.h. 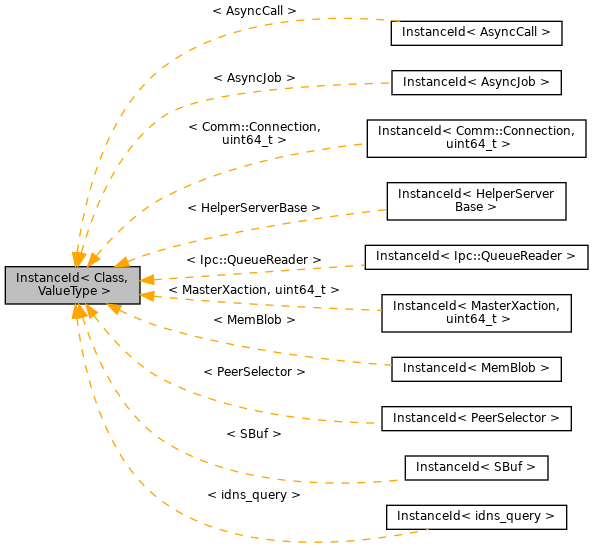 Referenced by InstanceId< AsyncJob >::operator Value(), operator<<(), InstanceId< AsyncJob >::operator==(), and helper::packStatsInto().